Babies seem to be stalking my reading lately. Could it have anything to do with the fact that I am more than seven months pregnant? 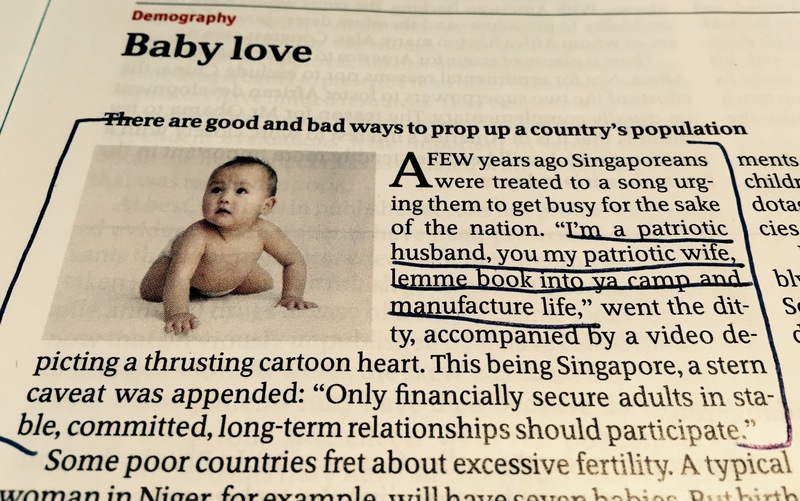 Regardless, the official ditty produced by Singapore’s conservative government and published in this week’s Economist is just too good to not share.